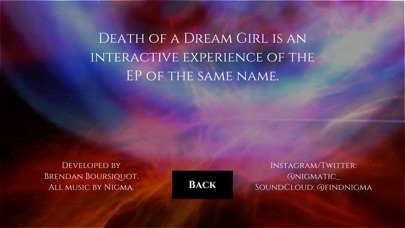 This is a standalone interactive experience of Nigma's EP, "Death of a Dream Girl." 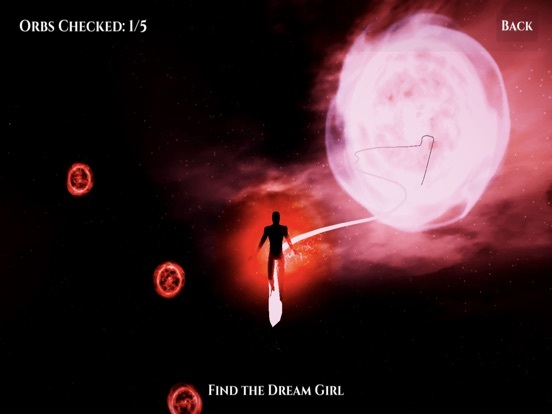 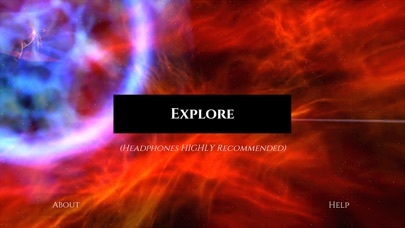 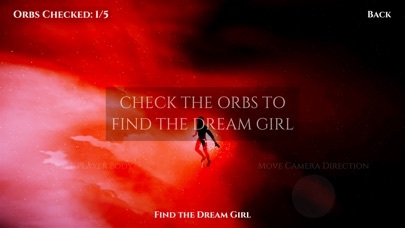 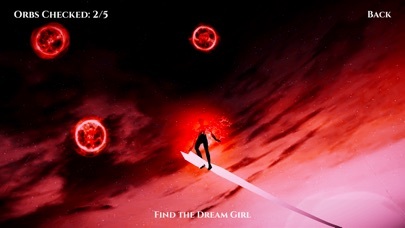 This application immerses you into an explorable 3D soundscape in which you must find the "Dream Girl" by checking all the orbs. 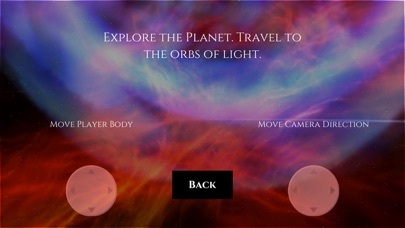 Each orb is linked to a different song on the EP that all play simultaneously, and based on the positioning of the user relative to that orb, various audio parameters and effects may be applied. 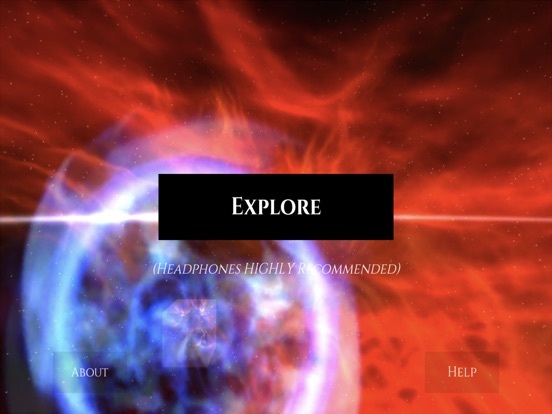 Updated UI for iPhone 5S and lower.